A report by the U.S Census Bureau shows that 36.5 million Americans relocated in 2012 alone. Personally I have had to move a couple of times in the past too, and the last time I did, it was a stressful task. Relocating a business is a tough task and the stress involved is enormous. It involves a lot of planning, costs extra money, and demands some extra logistics too. It is something most businesses will want to shy away from if they can help it. Let's face it, moving your business is equally a risk. You could lose some of your customers, spend a lot of money you didn't budget to spend, lose something valuable and even lose some loyal employees who just can't move with you. In spite of all that, a time comes when you just have to admit that relocating your business is the best option you have. In case you are at that point of decision where you think you should move but you need a little more conviction to take that leap, then you should read on. Below are 5 Reasons you should consider relocating your business. Who are the major clients for your business? Where do they come from? Are you always on the road trying to reach these clients? Or are they always in transit just because they want to do business with you? If that is the case, then you should consider moving. 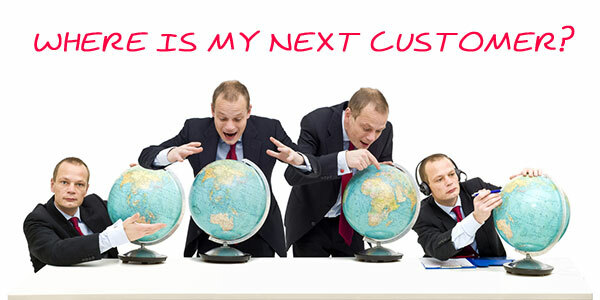 You should be as close as possible to your high-end clients and customers. The competition is getting tougher everyday and you don't want to give them a reason to consider doing business with any other person offering a similar product or service. If satisfying your customers and making profit are the major goals for your business, then relocating your business may just be what your business needs now. Let's assume you own and run a restaurant in your city. Maybe you already know most of your customers and things are, well, going slow but surely. Let's also assume that your state government suddenly decides to build a university in another city in your state. If you believe that this new school environment will need your service, then you should relocate immediately. Sometimes, it is possible for a particular market to get saturated. But when that happens, new markets equally emerge. It is your duty as an entrepreneur that wants to thrive to watch out for these changes and maximize them, even if it means relocating. 3. The cost of running the Business is lower somewhere else. Every thriving business always looks out for ways to increase profits and cut costs. Sometimes, moving your business may be the best option you have to cut your costs and increase your profit. The cost of living, commuting and a host of other needs that will affect your business varies from one location to another. Many businesses move from the suburbs to the cities, and many others move from the city to the suburbs all because of cost. For example you could be paying as much as $14, 000 a month as rent for your office situated in New York City. Assuming you run a business that doesn't make a lot of money, it will not be wise to spend that much just to pay the rent. Sometimes, even though you are closer to your target market, your business location may incur costs that will make whatever profit you make at the end of the day look insignificant. For instance, the cost of running a business and living in New York City is more than twice that of Chicago. This fact alone is enough to make you consider relocating. 4. You need to expand. Relocating your business does not always have to do with moving from Texas to New Jersey. It could well involve moving from a location in New York to a different location still in New York. Sometimes, you will notice that your business has grown and become a lot bigger than your present space can accommodate. Maybe you are already bursting at the seams, the cubicles have become over crowded, and your parking lot is filled. In such a situation, you should equally consider relocating. 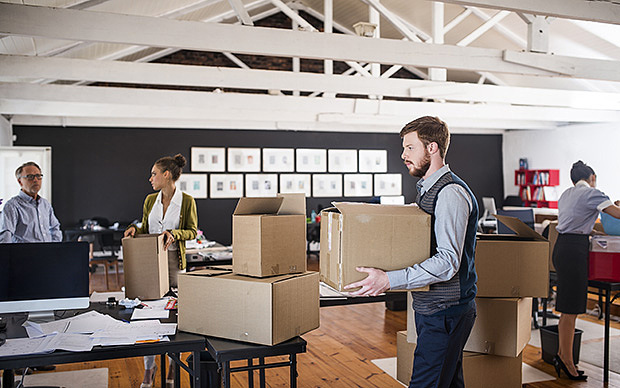 In this case you may not have to move from a state to another state, but you should consider moving from your office apartment to a bigger place that will accommodate your present size and level. The desire to get a suitable work force can be enough to make you relocate your business. It is possible for your business to have a low supply of the type of work force you need simply because of your present location. There are some highly specialized professionals who will not consider moving to the suburb for instance. And maybe they offer just the expertise your business needs. In cases like that, you should consider relocating your business. If your business thrives because of a particular expertise which only certain employees can provide, then you should consider relocating to a place where it will be easier to have access to these staff. Just like in life, nothing is guaranteed. And moving your business does not mean that it will achieve greater success. Sometimes the grass is greener on the other side, other times they just seem so. But with these five reasons, relocating your business is still an option you should seriously consider.